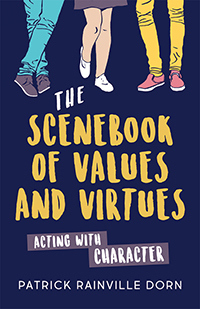 This entertaining collection of 24 character-driven scenes will guide teens to make positive choices in their lives while developing their acting skills. Each selection presents a realistic scenario that explores multiple character-building values, such as acceptance, compassion, fairness, forgiveness, generosity, gratitude, honesty, loyalty, perseverance, and self-discipline. Each scene is then followed by student-tested discussion questions that can spark conversation about values, personal responsibility, and relationships. Delve into a diverse assortment of thoughtful topics presented in an engaging, lighthearted fashion. Scenes range from 5 to 10 minutes in length with cast sizes of 2 to 7. Read more...Use this book in any group setting to encourage meaningful, values-based dialogue. There’s no other scenebook like this to help your students develop their own moral compass.